These basic membership benefits are automatically included with PDCA membership, along with special member-only services. Opportunity for Pug fanciers to meet others who are involved with Pugs in many ways by socializing and communicating with other Pug fanciers, judges and breeders. Opportunity to learn about and participate in many aspects of Pug competition such as obedience, conformation, agility and more. Opportunity to give back to the breed by way of being involved in community education programs and the Pug Health Fund. 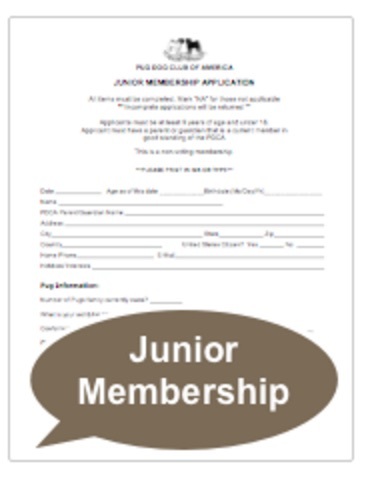 Subscription to the Bulletin, the PDCA newsletter and the annual club Membership Roster. Access to the PDCA website’s Members-Only pages, for exclusive archival information about the breed, events and the club. Most of all, PDCA membership affords the opportunity to influence the preservation and integrity of the Pug by making your voice heard as an active club member. 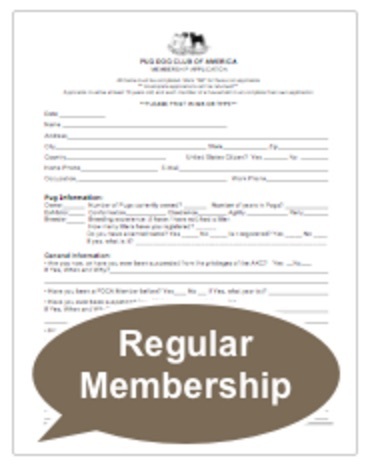 Those interested in becoming a member of the Pug Dog Club of America, should complete a PDCA application for membership. Junior Members are between the ages of 9 years old and 17 years old. Regular Members are ages 18 years old and older. 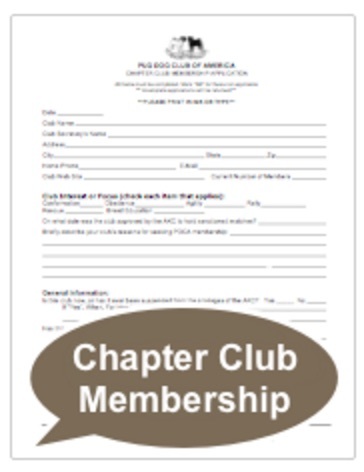 Chapter Club Membership is available to pug clubs interested in becoming a Pug Dog Club of America Chapter Club. Please note: each file has multiple pages to print.